By Mary Malone on Wednesday, November 21st, 2018 in Featured, News. 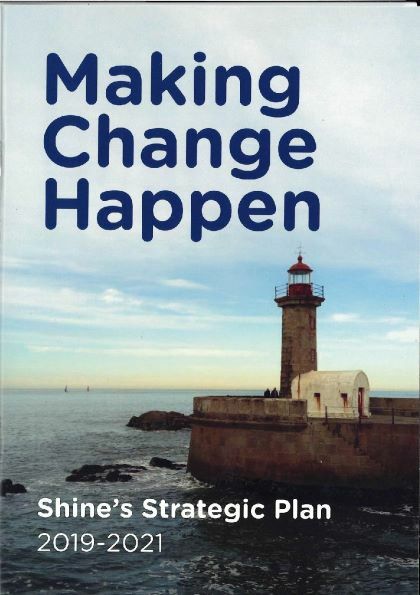 A t the Shine AGM on Friday, 16th November we launched our next Strategic Plan 2019- 2021. 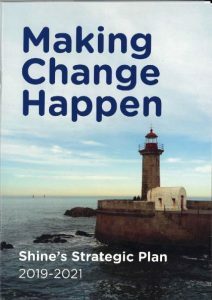 This strategic plan builds on our previous plans which have led the organisation in its achievements to date. Since late 2017, we have engaged in a number of focused activities to inform us on the development of this new strategic plan. These activities include a review of our current support group activities, a series of stakeholder meetings involving staff, facilitators, Shine members and board member workshops. We are committed to continuing to support and enable all those affected by mental ill health and their families to make as full a recovery as possible, to be able to avail of timely and appropriate services in line with best practice and be treated as equal citizens. Over the coming years we aim to consolidate and improve the national reach of our work. We will research new areas of work to identify best practice in recovery-orientated service delivery for all family members. We will continue to advocate for more family friendly mental health services in line with national policy. We will provide accurate and timely information and continue to raise awareness in all sectors of Irish society. Our activities will be rooted in our values, vision, mission and strategic plan.